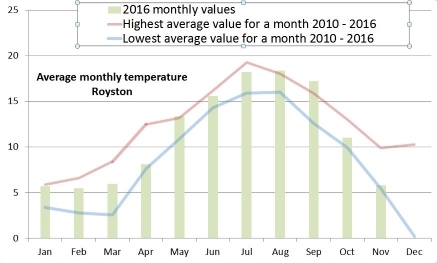 Royston has been getting warmer over the last few years. Data from the Sun Hill weather station shows that the average temperature since 2010 has shown an upward trend with 2018 being the hottest. Is the temperature getting more extreme? 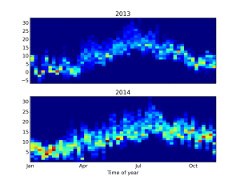 The maximum Royston temperature has been at a high level for the past six years whereas the minimum is more variable. Despite the record breaking 57 day drought during 2018 (see reports below) the whole year was very near the eleven year average of 123 days of rain in a year. 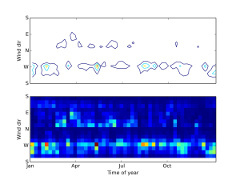 Most of these graphs and observations have been derived from the History tab on the website. If you only use a mobile to look at the website you may not know it exists. To get the full detail from the site view from a PC or a tablet in landscape mode. The mean temperature was in the middle of the range we would expect at 15.1C although the low temperature was lower than recent at 4.7C. Rain was average. The drought since May 30th 2018, 57 days without rain in Royston has come to a dramatic end. At 17:05 there was a flash of lightning, a clap of thunder, a 30mph gust of wind and then hail and rain. 5.3mm in 5 minutes at which my weather station console announced that is is "Raining Cats and Dogs"
The eagle eyed of you weather watchers will have noticed that over the past few months the website has occasionally been a bit hesitant to load. This was because of problems in transmitting the web page updates from the Raspberry Pi which does all the hard work, to my website. The update happens every five minutes but lately the update has taken longer than five minutes, tripping up the next update which was trying to start. This effectively bunged up the works. The solution was to upgrade the hosting package where the site is kept. 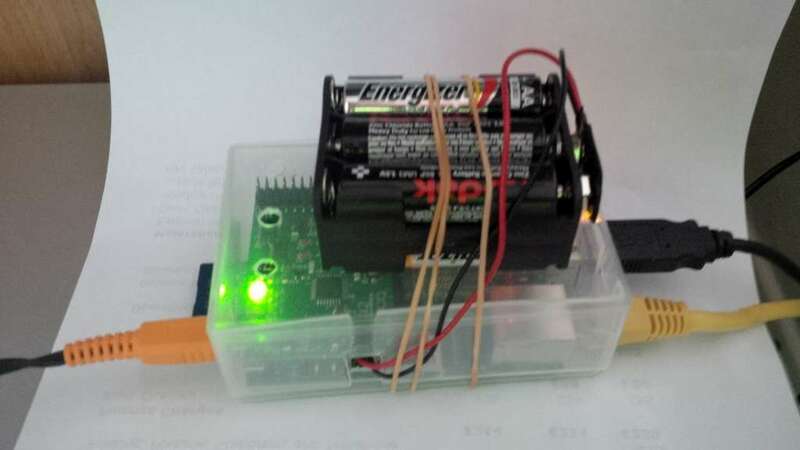 Unfortunately this went slightly awry (as upgrades are known to do) and the Pi was unable to transmit anything at all to the website. After a lot of head scratching, manual reading and support calls the typing error that caused the problem was spotted and corrected. Fingers crossed we are now OK. Apologies for any inconvenience caused at this crucial time of drought and high temperatures. WARM.The average temperature for May was 14.3 nudging on the hottest for 45 years. You can see the numbers on the History page. SUNNY.From the limited sunshine data I have May was bright - certainly better a lot than April. You can see the numbers on the History page. DARK. As the graph shows there were 70 fewer sunshine hours in April this year than last year. You can see the numbers on the History page. WET. THe graph below shows that for Jan to Apr there were 58 days when it rained - the highest I've recorded. That works out at rain every other day. You can see the numbers on the History page. Since I wrote on the 14th we have had sun for 10 of the 14 days up to today. Last December there were only 12 minutes of sun in Moscow. Buried at the bottom of the pages that make up 'The Weather' tab (Last 24 hours, This week, This Month, This Year) are measures of how much sunshine we've had. I'm looking at the graph at the bottom of the 'Last 24 hours' page and it confirms that there has been no sunshine at all today (14 Jan 2018). On the 'This week' page you can see that there has been only two hours of sunshine in the last week, most of it on January 7th. The 'This month' page shows that there have been fourteen days in the last month with no sunshine. So it has officially been gloomy. The graph below shows the average monthy temperatures in Royston since 1973 - incorporating Iceni data for 1973 to 2009 - see article below. In the first half of 2017 we had average temperatures for three of the months verging on the highest for 43 years. September was on the cold side but October was warm. Comparing monthly rainfall with average shows that April had exceptionally low rain and the autumn was also a bit lower. The annual total was 498mm compared with an average over the years of 590mm. Apologies to Sun Hill weather data followers for the outage between 02:05 on Saturday June 17th to 18:40 on Sunday June 18th. This was due to a hot and bothered router (see next item on record temperature) deciding that an internet connection was just too much trouble. When I returned on the Sunday night the usual turn it off and on again did the trick. A friend is now on standby to repeat this technical task should it happen again whilst I am away. William of Ockham, a Franciscan friar who studied logic in the 14th century, is known for principle called Occam's razor: If there are several proposed explanations for an occurrence the simplest one is usually the best. What has this got to do with weather stations? 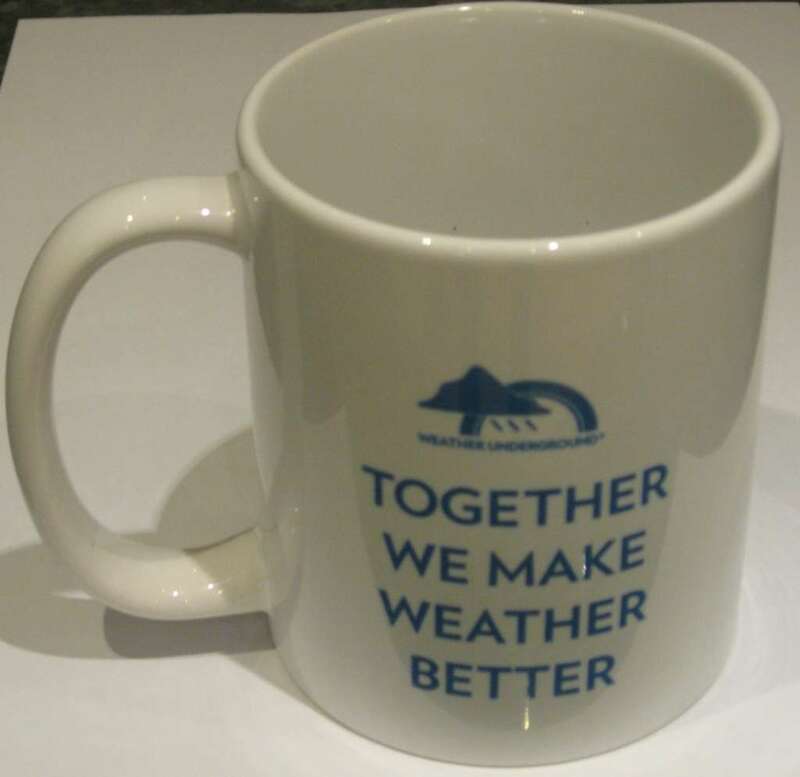 Eagle eyed followers of the Sun Hill Weather Station have commented on the rainfall pattern pictured below. I came up with convoluted explanations to do with fog, condensation and melting ice. Last night it all came to a head when I was out running and the heavens opened. How much rain? I wondered. None said the station. 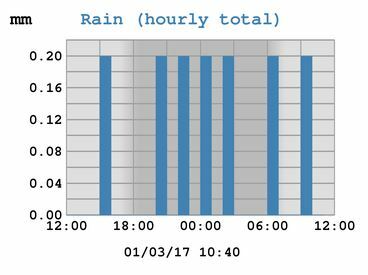 But all night a steady drip of 0.2mm the smallest measurable amount of rain. So this morning it was time for the overdue service of the station. The rain cone still had quite a lot of .2s of rain as the hole was blocked with a paste of roof tile dust which greatly constricted the water flow. After a wash and brush up and change of back-up battery we are back in business and waiting to see what happens with the next rain. So the simplest explanation, barely considered, proved to be the answer. 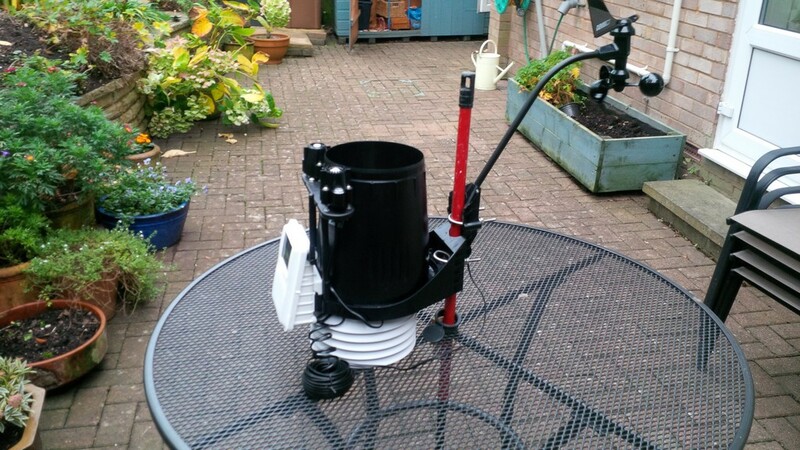 And those that RTFM would know that a rain funnel clean is recommended every four months or so. Yesterday there was a tornado in Wales with winds up to 94mph. Nothing like that here but we did have a quick gust of 38mph which is in the region of our greatest ever gust of 43mph - See Stats page . The blast of wind was accompanied by a downpour. See "This week" or "This month" pages. The hours of daylight information has been expanded to give an estimate of the length of twilight each day. Previously Sunrise and Sunset was given. Now First Light and Last Light are given to show the periods before sunrise and after sunset when light can be seen in the sky. It has just been on the news that 2016 is the hottest year on record. The Royston weather station has now been recording information for just short of seven years, so whilst I can't comment on global warming in Royston there have been some interesting variations. I quite often look at the History page on the website - Average Monthly Values where a monthly summary is given for various measures. These are colour coded to show how they vary but to get a much better view of the variation a graph helps. The graph shows the average temperature for each month in 2016 plus the highest and lowest recorded for each month. May, August and September set new record monthly highs with June and July also near the top of the range. If you would like to see more of this type of commentary or have any suggestions for alternative presentations please get in touch by clicking here. Feedback. On the week and month tabs, down near the bottom are now tables giving the hours of sunshine per day - thanks to Nick for adding the calculations to do this. 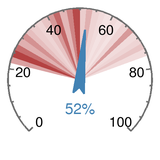 Sunshine hours are calculated using this service: radiationhours.py. 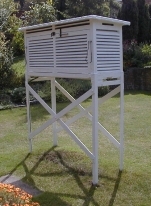 The new Vantage Pro weather station reports radiation as (Watts per square metre). 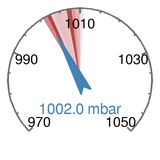 This is the amount of solar heat hitting the earth where the weather station is located. At Earths average distance from the Sun (about 150 million kilometres), the average intensity of solar energy reaching the top of the atmosphere directly facing the Sun is about 1360 watts per square meter. How do we know when it is sunny? According to World Meteorological Office if solar radiation exceeds 120 Watts per square metre then it is deemed to be sunny. So if the graph shows more than 120 it is sunny in Royston. UV is the main component of light that gives you sunburn. 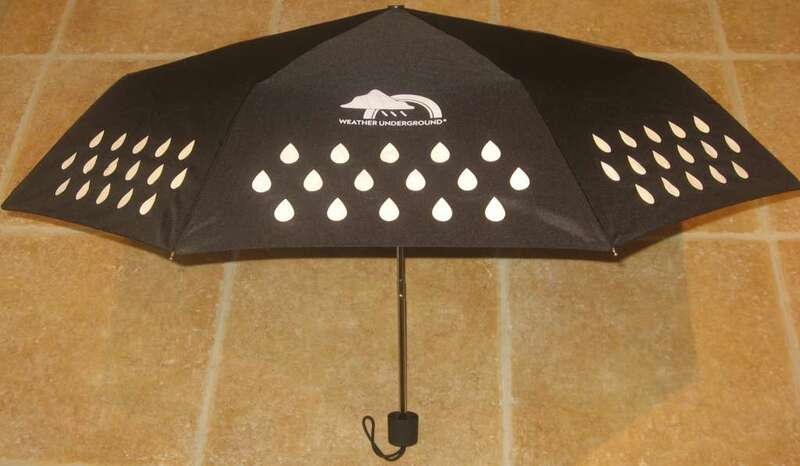 The Vantage Pro reports an index value in line with the WHO guidance on sun protection. The rain data that was spuriously generated by the old weather station has now been removed. 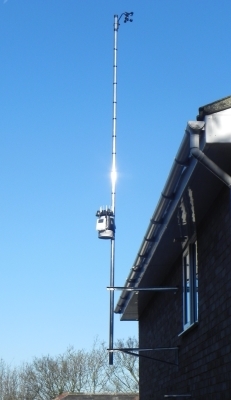 The new Davis Vantage Pro 2 has now been erected into its long term home and is now contributing data to this site. Solar radiation and UV strength is now being reported although this will take a bit of time to build up. When I get a minute some of the test data from the start of the year will be transferred. 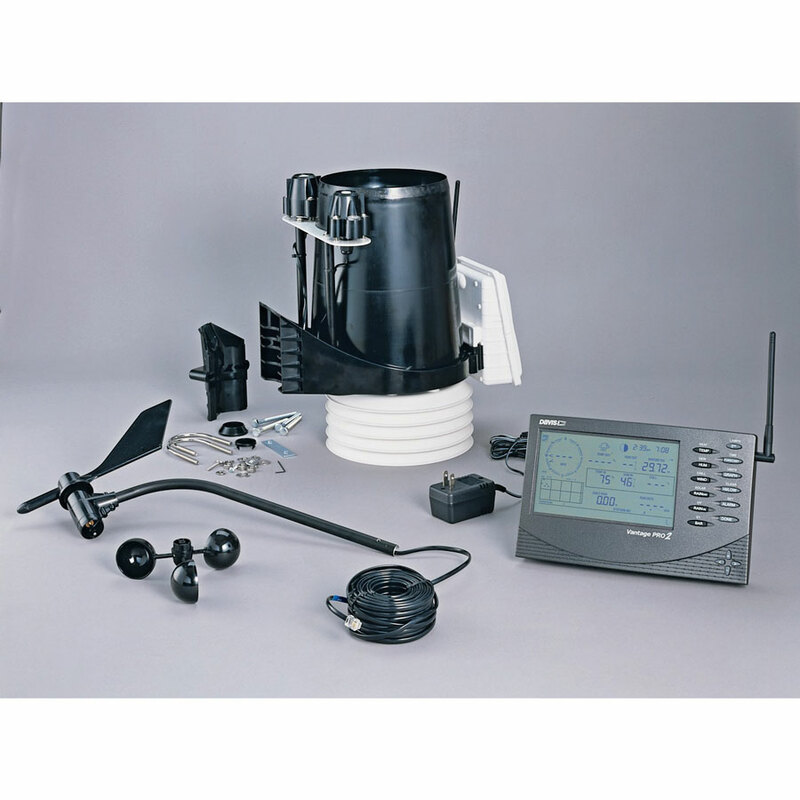 The kit has a more rugged and accurate rain gauge but the real selling point is that the anemometer can be erected at a distance from the rest of the sensors. The pictures below show "what's in the box" and the high tech testbed installation. With the anemometer distant from the rain gauge I should not get the spurious rain readings mentioned in news below. If you click here Station under test you can see readings from the new unit. Rain, temperature, humidity, solar and UV should be pretty accurate but the wind readings will be very low in its sheltered conditions. I plan to erect the new station in the new year when I can round up sufficient ladder holders and climbers. The supplier sent a replacement UPS. The Pi skated through a toaster induced crash and also an investigation into using a plug mounted earth leakage trip (The main circuit board trips before the plug mounted one). How long will the batteries last? 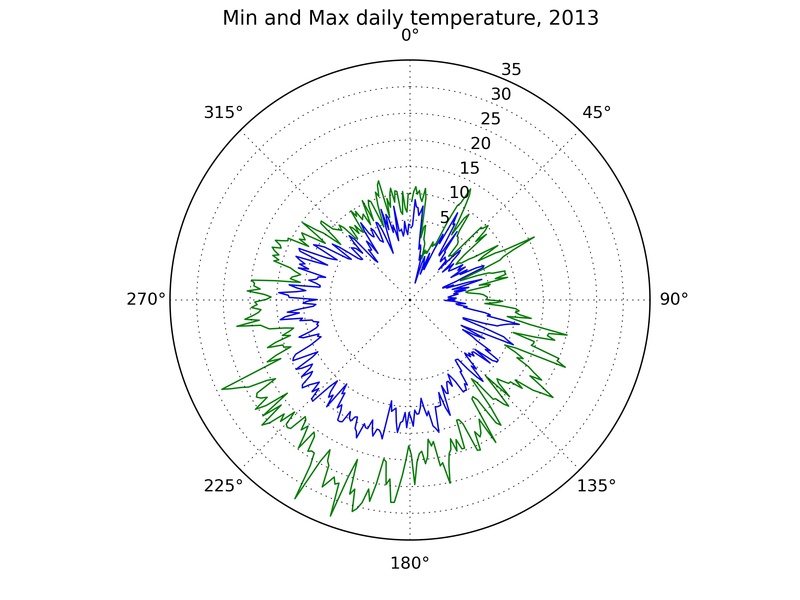 Weewx + matplotlib = a great way for visualising all your weather archive data. I've written a few rough and ready python scripts for doing this which you can find on GitHub. Click on the images to see the full size plots. 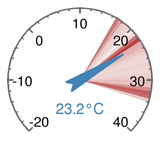 One of the graphs on this site has always annoyed me - the temperature one on the Year summary page. It has always shown the average temperature for each day of the year and I'm sometimes not sure what averages bring to the discussion. Did you know that men in the UK have on average 1.96 legs. Anyway I've changed it to give the high and low temperature on each day. When I say "I've changed it" I mean I had a good hack and then called the Pi guru Nak. I wasn't helped by there being a typo in the manual and the fact that the # sign in Python means ignore this line whereas in html it means this is a sign. If you have any thoughts on the matter send me an email: general@dajda.net. My toaster took a dislike to something and blew a fuse - trouble is my Raspberry Pi is on the same circuit and lost power. Anyone know a good UPS for a Pi? 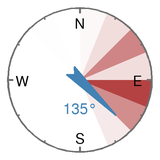 The highest windspeed measured by the weather station this year has been cited by the local press. 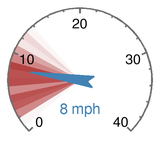 It was 39 mph which hit Royston on October 28th at 7:25 am. 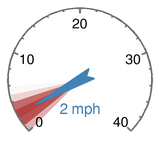 Check it out on the Royston Crow website: Storm St Jude sees Royston hit by winds of 39mph. And on the Weekly News site: St Jude storm update: Travel chaos, fallen trees and serious injuries in Melbourn. 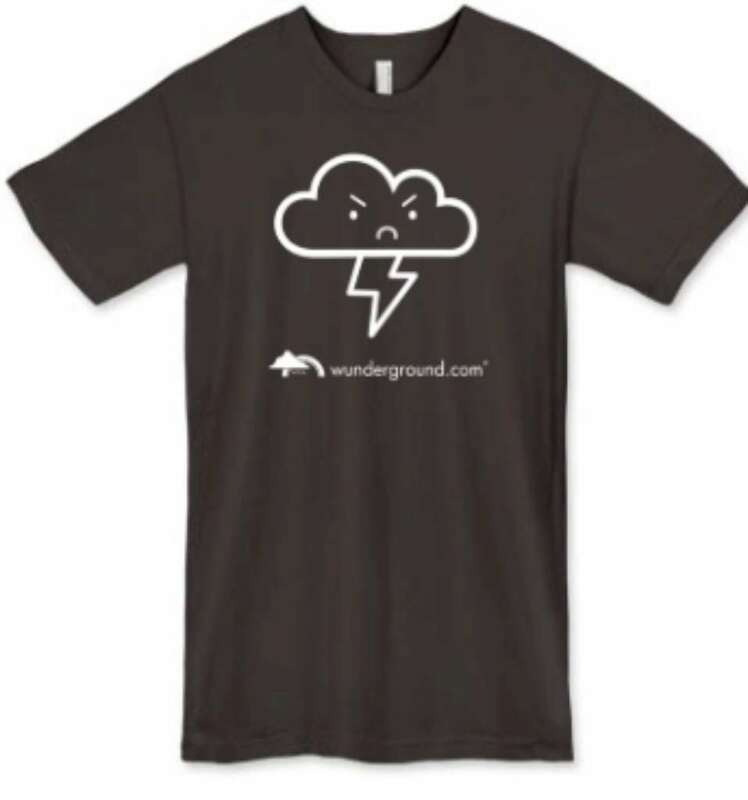 Yours truly was lucky enough to be invited to the first UK meet-up run by Weather Underground last week. 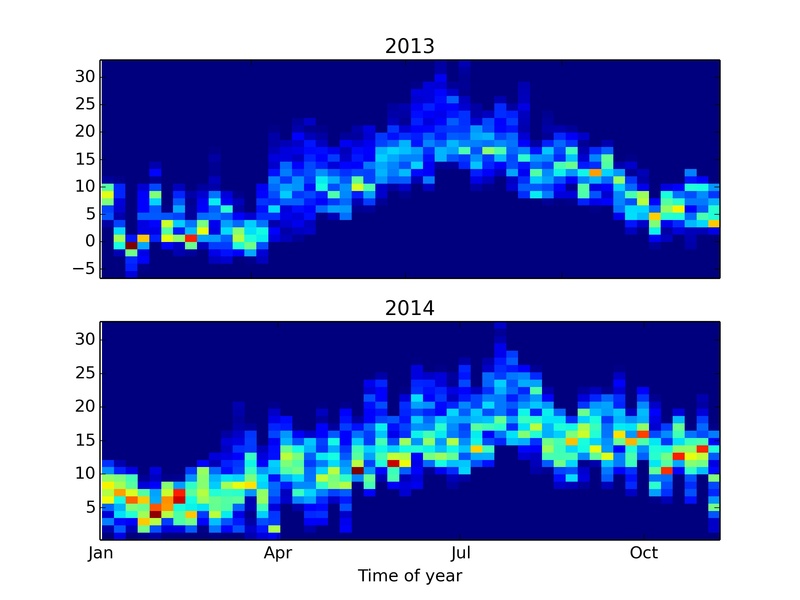 There was great interest from weather station owners in the use of the Raspberry Pi and Weewx to publish weather data. Check out the goodies they gave us.